Joseph & the Technicolour Dreamcoat, Bham Hipp. Bill Kenwrights amazing, superb, wonderful and brilliant production of Tim Rice and Andrew Lloyd Webbers sparkling family musical returns to Birmingham Hippodrome. 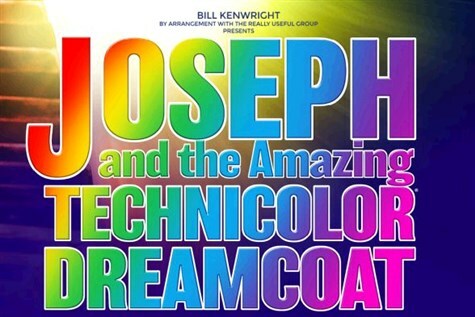 Retelling the Biblical story of Joseph, his eleven brothers and the coat of many colours, this magical musical is full of unforgettable songs including Go, Go, Go Joseph, Any Dream Will Do, Jacob and Sons, Close Every Door To Me and many more. Joseph and the Amazing Technicolor Dreamcoat was the first of Lloyd Webber and Rices musicals to be performed publicly. Seen by an estimated 26 million people, and counting, Joseph continues to enthrall audiences around the world.